I usually try to go somewhere we’ve never been to before when we go out to eat but this place has drawn me back several times already. Our most recent visit was our first time as a family. 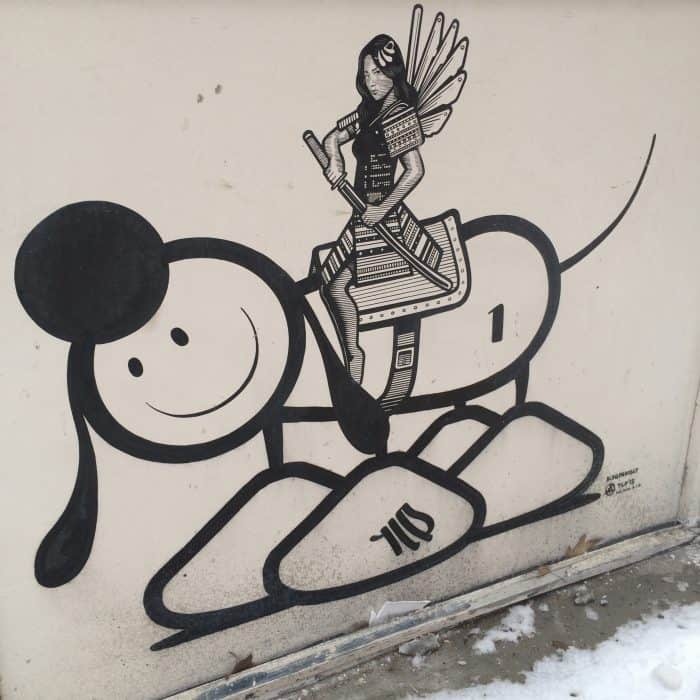 On your way inside the building, make sure you take a moment to admire the international creative talents of street artists The London Police. 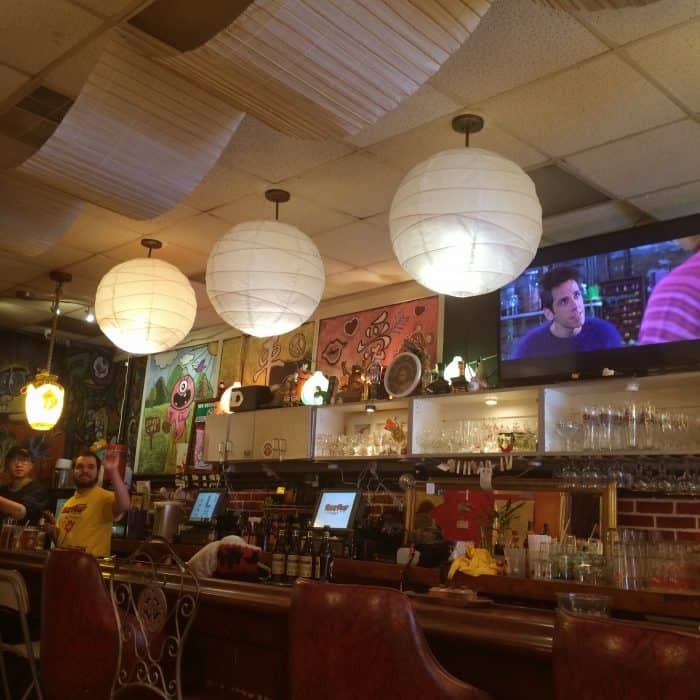 The space inside is cozy and reminds me of the 90’s with graffiti art on the walls and posters from classic Kung Fu movies. You can also watch a classic Kung Fu movie or a classic funny movie during your visit. 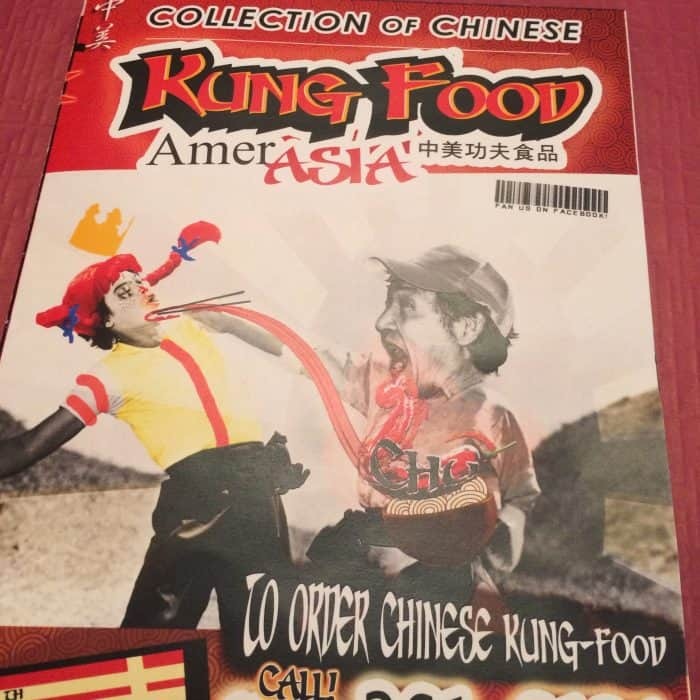 The menu has a great selection of Asian items to choose from. My husband had tried Mongolian Beef at a level 5 and it was right on the limit of what he can handle as far as spicy is concerned. My kids got the Orange Chicken. They each ate the whole entree. I could barely get a pic before they devoured it. 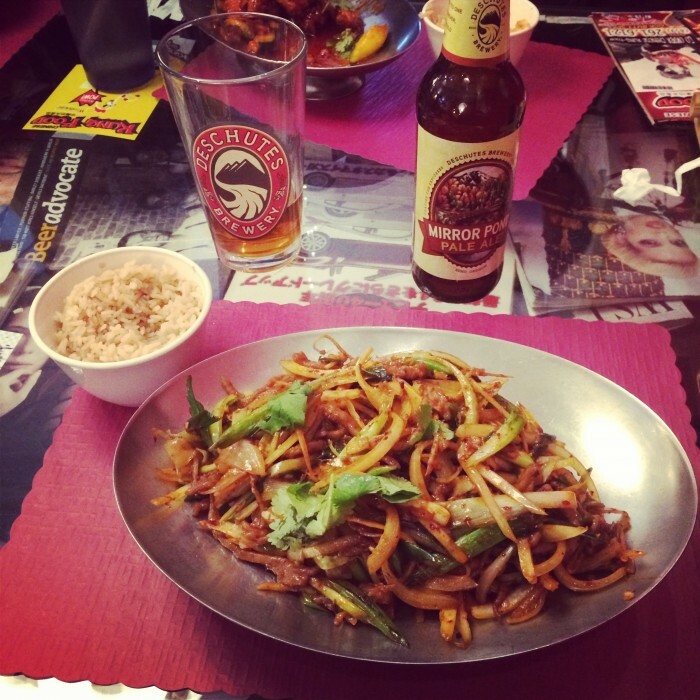 AmerAsia also boasts a very large selection of craft beer. There is a large binder full of options. I don’t even love the taste of beer and the bartender found the perfect beer for me. 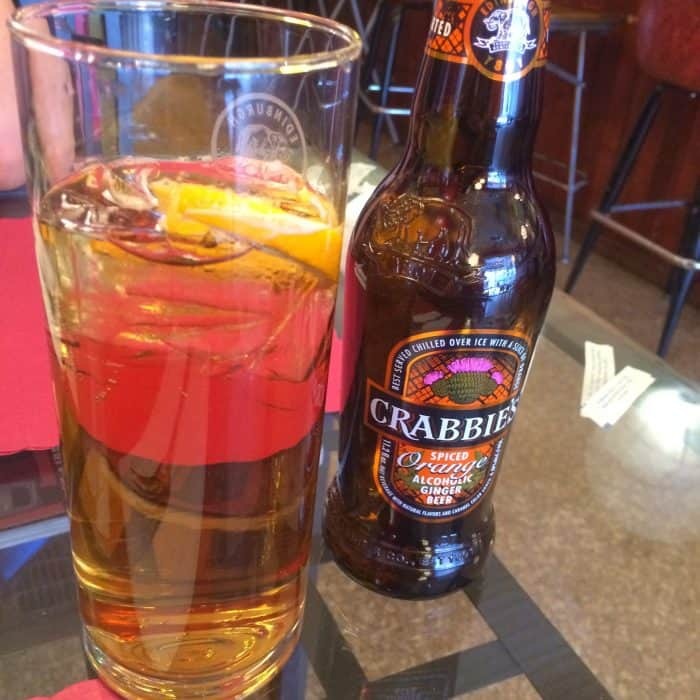 Crabbie’s is a ginger beer that is served over ice with an orange slice. The drink was light and delicious! 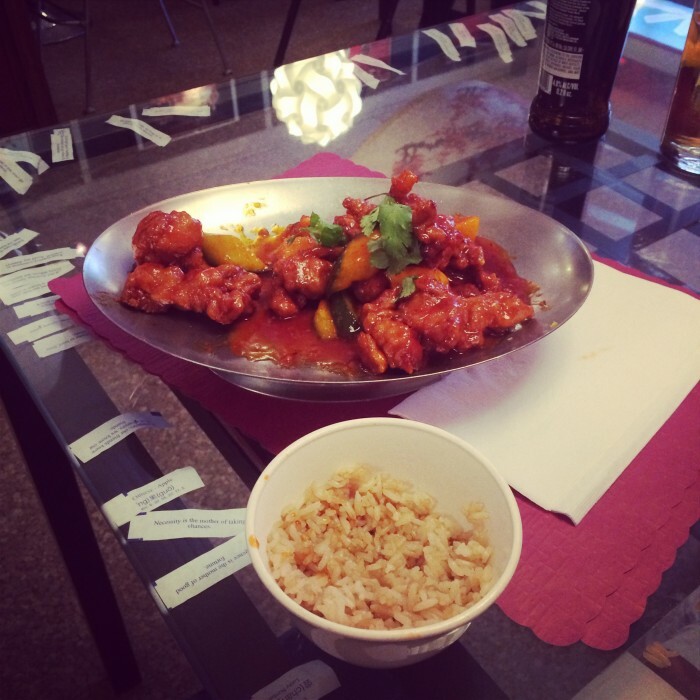 The food is fresh, the portions are large and the food doesn’t leave you with a heavy feeling that you can get from a lot of Chinese restaurants. 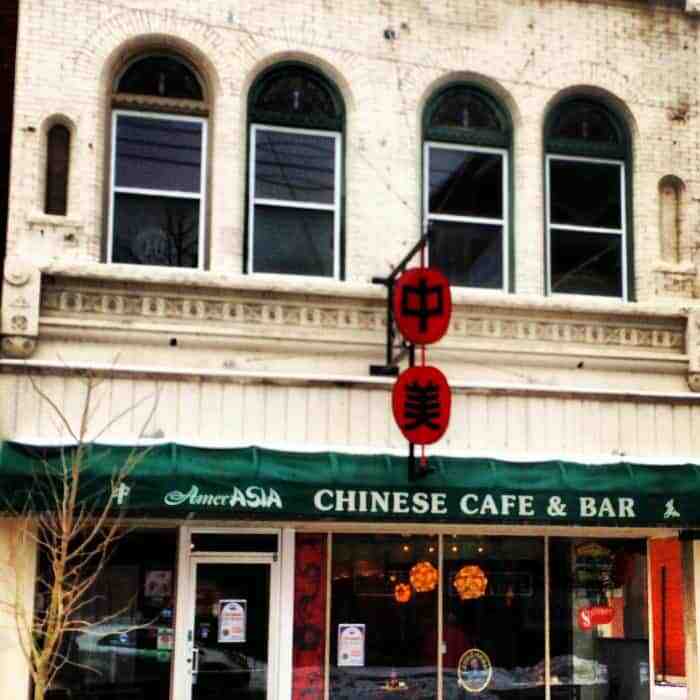 AmerAsia has a variety of Chinese, Asian Fusion and Taiwanese menu options to choose from. I highly recommend checking this place out! 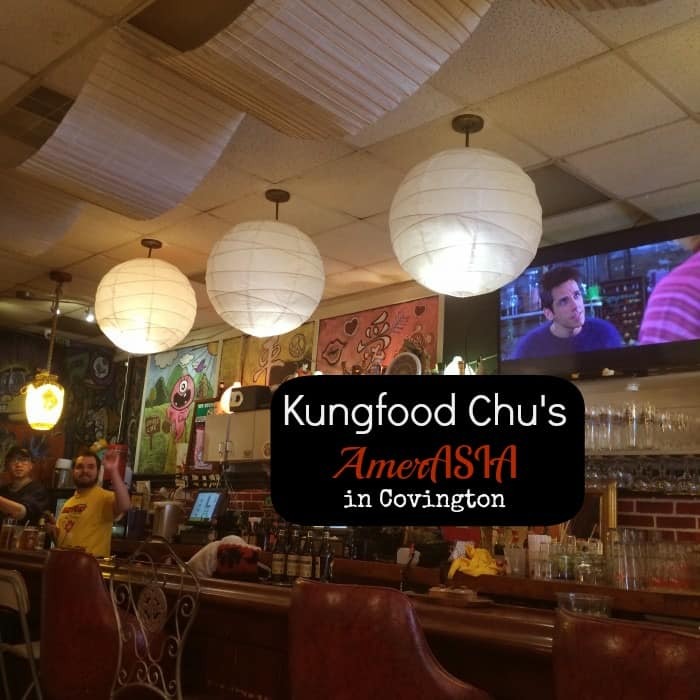 AmerAsia is located at 521 Madison Ave # B, Covington, 41011. You can also check out their facebook fan page. We went last week before seeing EVITA and LOVED it. Delicious. 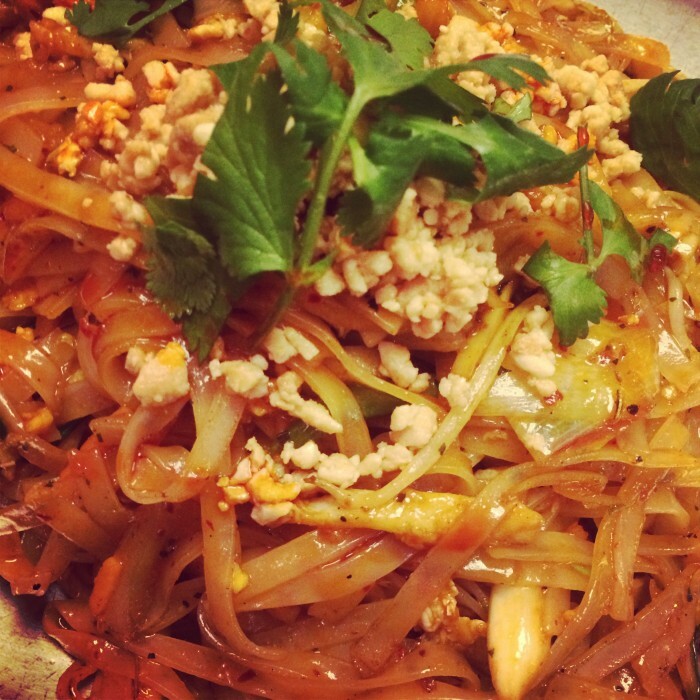 I had the pad thai and a beer. I know our kids will love it too. Great place!